Making new friends is an expected part of childhood. But is it only for children? Of course not. Old friends are wonderful, but making new friends as adults is still important. In fact, an active social life has numerous physical and mental benefits. Use these helpful suggestions to meet new people with ease! Find a common ground. Do you remember your first day of school? You looked around the room seeking to find someone with whom you might have something in common in hopes of making a new friend. Not much has changed! Whether you are at work or a local event, look for something that you have in common with others. Volunteer. Find a group that is accepting volunteers and sign up! You will be helping out a great cause and meeting new people at the same time. Pick an area that you know about or have a passion for, so there will be an immediate interest for you and your potential new friends. Check local schools, libraries and churches for volunteer positions. Join a club. Most areas have civic clubs, so call your local Chamber of Commerce and find out about adult clubs in your area. Check with the library, a gym or churches. 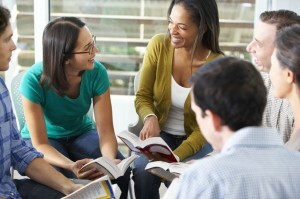 Look for clubs that are personal, too, like a book club or a sewing club. Once in a club, be an active member! Most important? Be yourself! It was true when we were young, and it is still true today. Your new friends want to know you, so be yourself! Don’t try to be someone you aren’t. If you don’t like reading, don’t join a book club. If you dislike running, don’t go to a track looking for new friends. Join activities that truly interest you.